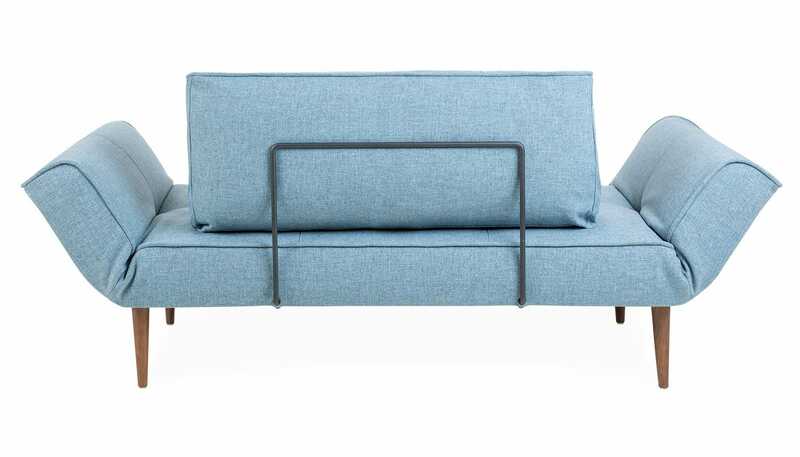 The Tilt sofa bed features a unique function whereby the arms on both sides can be folded to three set angles. 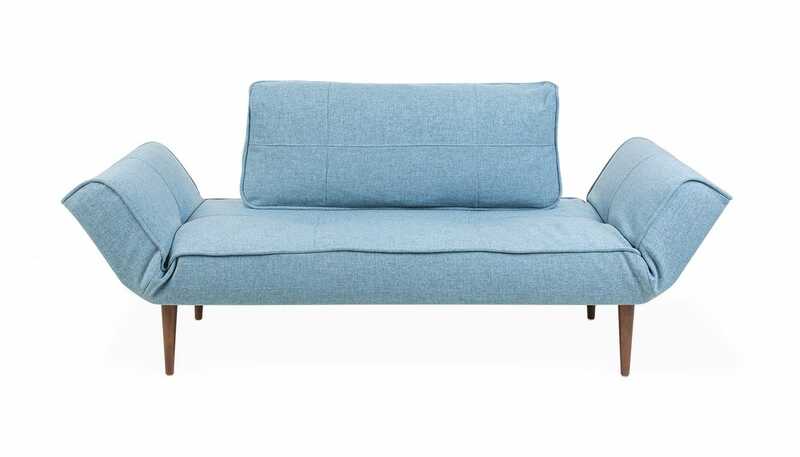 Simply push both arms down for a day bed, or remove the back cushion for a comfortable single bed. 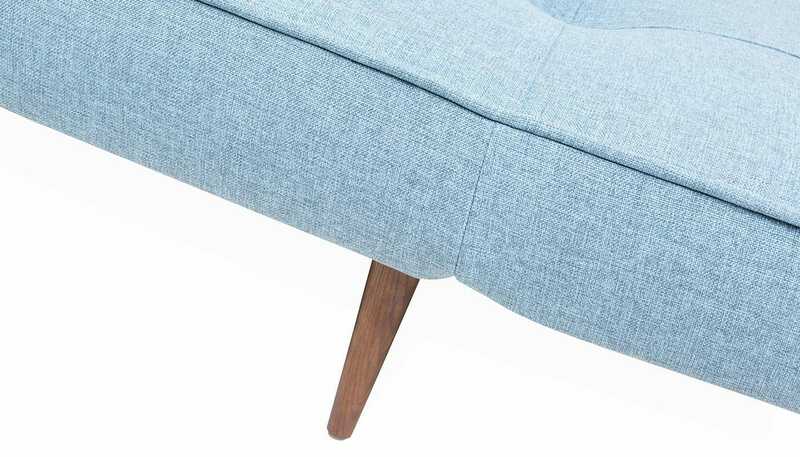 The simple form of the seat, upholstered in smooth contemporary slate fabric with subtle matching piping, and lightly tapered turned Elm legs demonstrate the rational aesthetic of classic Scandinavian design. A nod to mid-century style, the low seat and wide profile of the sofa bed are supported by a pocket sprung base for comfort when sitting or lying back. 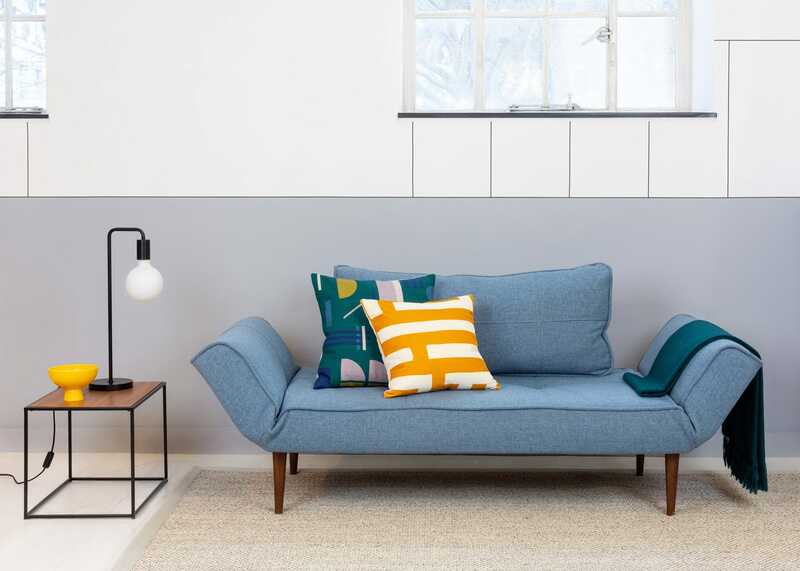 Sitting well within contemporary interiors or alongside mid-century styled pieces, its simple forms make a functional addition for homes limited on space but unwilling to compromise when it comes to style and comfort. I know this item as I’ve bought one already for my workplace. It’s compact, looks great, and works as a bed for one or two nights. Unusual product. Not able to find an item with these dimensions elsewhere. 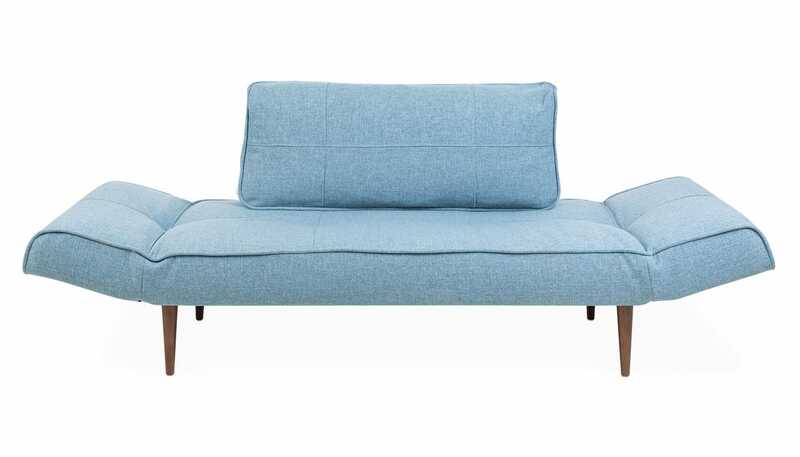 I'm very happy with this sofa, which converts into a day bed. 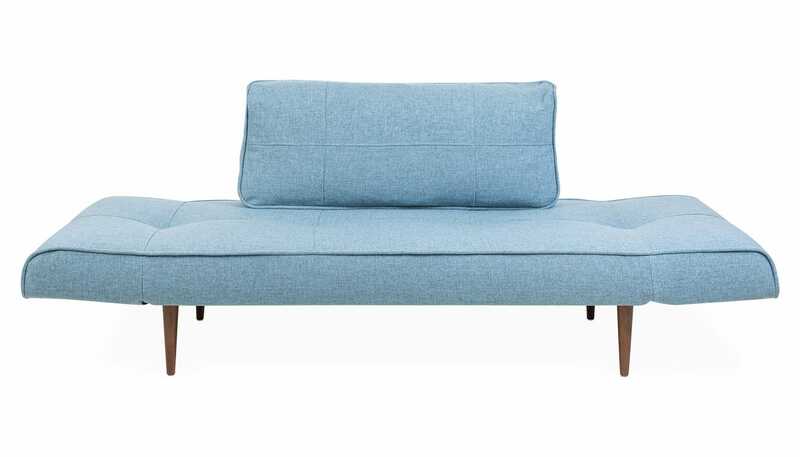 It's well-made and comfortable to lie down on for reading, a nap or even overnight for a single guest. It are particularly good value in the sale. Works well and as advertised. Comfortable as both a sofa and a bed. Very happy with this item and delivered by very helpful men who assembled it. As described - slighly darker blue than expected from the pictures.